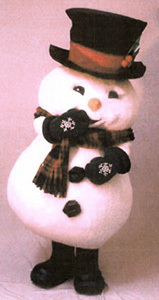 Browse all of our Holiday ideas here. Our Human Snow Globe performers are the perfect choice for ambiance and atmosphere at your next holiday event, capturing your guest's attention with performers enveloped by large spherical bubbles. Performers use contortion, dance, manipulation and balance while being perfectly framed from all angles. Choose from our many holiday favorites including holiday theme characters, bands, dancers, crafts, atmosphere entertainers, artisans, and more. These Santa's helpers perform a 15 min. choreographed showcase with routines such as a Rockettes kick line, Jingle bells cabaret style performed with chairs, a ballet solo from the Nutcracker, a Candy Man routine with a tap solo and more. As Santa Helpers, they pass out gifts to all your guests, mingle with atmosphere dancing, and perform a Santa Baby improv with the host of the party dressing him up as Santa. 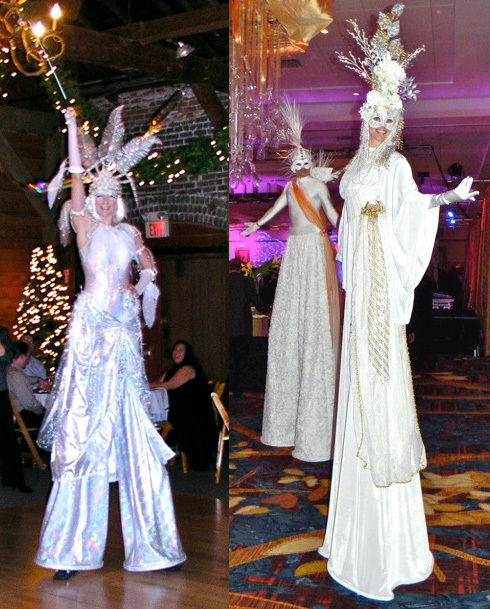 Choose from a variety of stilt walkers and stilt shows for your theme, including angels, robot stilt shows, disco twin shows, stilts with fantasy puppets, vine stilt shows and various themes including winter, neon, mardi gras, cirque, safari, and much more. Looking for a new cirque option for your event? These acrobats perform not only in a clear sphere but elevated high above for all to see.